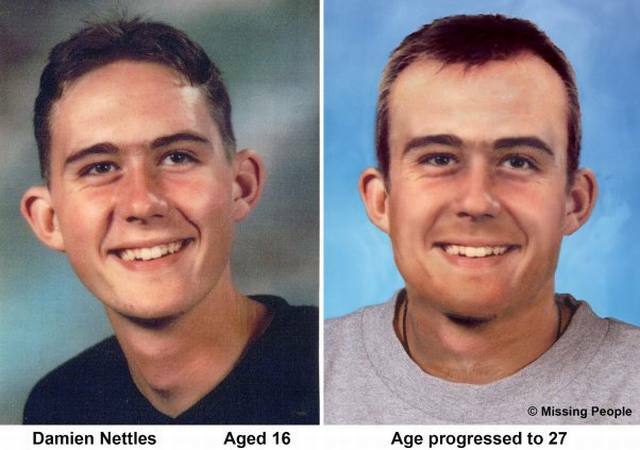 A video (embedded below) that was posted last night to Facebook by Sarah Nettles – sister of missing Isle of Wight teenager Damien Nettles – showing three people involved in digging in an unknown location has had almost 5,000 views already. Next month (2 November) sees the 18th anniversary of Damien’s disappearance after a night out in Cowes. The family, who have campaigned far and wide about Damien’s disappearance, have been openly critical of Hampshire police, citing the loss of vital evidence as just one of many complaints. In 2011, the family received information that some of Damien’s remains lay in a shallow grave in Parkhurst Forest. Sarah Nettles told supporters the Police had dismissed the information, stating the source was unreliable due to his criminal past. In 2012, the family were advised of the same deposition site via Paranormal means. “Although my family understands that these means are not conventional, the fact that the information provided, backs up the information we received from real sources should be considered. In 2012, Hampshire Constabulary launched a reward campaign, offering £20,000 for information leading to discovering of Damien’s body. After police chose not to renew the reward in 2013, a local businessman, who preferred to remain anonymous, offered £10,000 reward for information leading to Damien’s remains. 2 Comments on "Damien Nettles: Family share video showing dig starting"